Jackie's Forget Me Nots | No vase can overflow if you never fill it up. I have a squishy. A squishy is a thing I use to squeeze with my hands in order to relieve stress and tension. They feel soft and pliable. My squishy is a watermelon wedge but more importantly, I like the shape of it. It is in the shape of a protractor. Who doesn’t like that angle? At the top runs a straight horizontal line and the bottom is curved like a boat. I love the round shape of it because it can rock back and forth AND because I enjoy watermelon in the summer. Seven Audio Series that Rock! I started listening to audiobooks with a membership to Audible. Listening to free audiobooks from the library on Overdrive is great also, and there is a free summer audiobook program on AudiobookSync. I love vampires and these cold-blooded creatures are hot AF. I want to be in Caldwell New York with the Black Dagger Brotherhood living in a mansion. Gin Blanco is her name and she has daggers up her sleeves in her boots, everywhere, and if you threaten her family, she will make you regret it until you’re dead. She is also the owner of the Pork Pit restaurant, known for her foster-father, Fletcher Lane’s, secret barbecue sauce. I am in love with this masterpiece. I read the books and listened to their audio. She sailed over the sea to Skye. . . and recently finished watching Season 3 on Netflix. It was so good. Storm Front was one of my first audiobooks I ever listened to. Happy Novella November everyone! I like reading novellas in November. It’s got a nice ring to it. 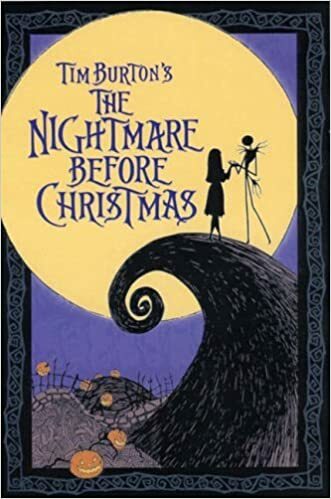 This reading challenge introduced me to many Christmas novellas, which I usually have a bunch of on my Kindle. I was curious to find out more facts about Novella November and this is all you need to know. Hermione, because she wouldn’t do anything stupid and she’s studious/smart. Gandalf, because he’s a wise wizard. Luke Evans because he’s the motherfucking Dracula Untold! Bard the Bowman and boat fishermen from Laketown in The Hobbit! What’s been happening this week. More nice weather. More pain therapy in the pool, more good days pain-wise than bad. I managed to jog 2.2 miles on the treadmill without a hitch today (Saturday). Not a bad week although getting out of bed is still an ordeal and I need a cane to help me stand up, I don’t know if I should accept this is the way it’s going to be or hope even this too shall pass. As the day progresses it gets better and I can walk and do my workout. The hot tub is a blessing right now. I will be starting Yoga exercises soon and I look forward to it. What’s New On My Shelf. I got the last book in the Throne of Glass series! I couldn’t help myself and I admit it was an impulsive buy but I now have the complete collection. I added these ebooks to my Kindle. 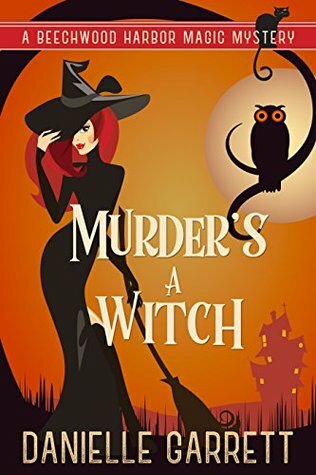 I started the Beechwood Harbor Magic mystery series this past week and I read and reviewed Murder’s A Witch and A Witch of A Day (links to my blog) and Jennifer Estep’s Mythos Academy short novella Halloween Frost. I wanted to start Spartans Promise but I need to read book one first. Danielle Garrett has also released a new Ghost series The Ghost Hunter Next Door which I look forward to reading. I really like the characters she writes. I’ve watched 6 episodes of The Chilling Adventures of Sabrina. I use to love reading about the teenage witch whenever she appeared in Archie comics as a kid. Obviously, the show is more terrifying. It’s hard to watch Prudence and her sisters, Madam Satan aka Sabrina’s teacher Mrs. Wardell, Father Blackwood and the Dark Lord’s evil plots against her. They are horrible. The reason why they hate her has to do with her father and mother who are dead. We learn more about Sabrina Spellman’s family in small increments throughout the first season. Anyway, Salem her cat familiar is awesome. I took the Spooky Character quiz on Beware of the Reader’s Blog and I am a witch. 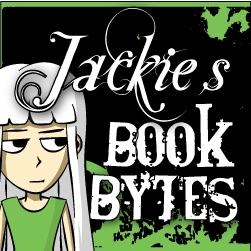 Last weeks theme was about a horror novel. I chose Frankenstein. This weeks theme is a Halloween inspired cover. I think they are pretty similar. At any rate, I am having a hard time choosing for this but I have decided on a cover of a book I haven’t read but would like to. I have only seen the movie. Meet Jack Skellington. He’s in charge of making Halloweenland the coolest creepy place around. But when Jack suddenly grows bored with tricks and treats, he goes searching for new ways to celebrate…and he finds them in Christmas Town! 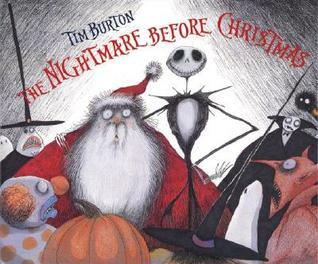 Christmas, Jack decides, is just what Halloweenland — and the world — needs! He sets out to take over the role of Santa. But can anything good come of a tall and lanky skeleton dressed up as everyone’s favorite jolly old elf? 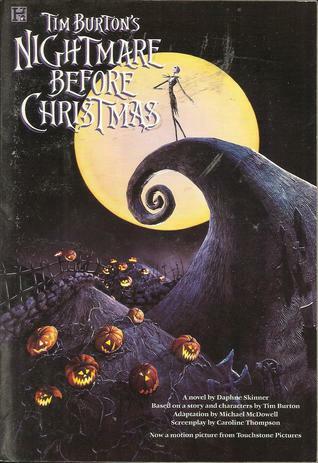 The Nightmare Before Christmas is the first book that Tim Burton has written and illustrated. Was this a marketing ploy to get us to read more of her books? It’s a genius. My fondness for paranormal fantasy and witches has been rekindled. Holly Boldt is a potion’s witch that comes to live in a halfway house for displaced paranormals in Beechwood Harbor. The elusive reason why she ends up living with 4 other paranormals is not explained until we read the prequel novella, Witch of A Day, but we have a vampire, a shapeshifter wolf, a gargoyle and a ghost. I don’t know what it takes to write good characters but Danielle seems to have it in spades. This red clutch is embossed with a masquerade mask. It’s cute and I’m pretty happy with what I got. It doesn’t scream Halloween but the purple eyeshadow and the lip glass look really nice. The eyeshadow brush works very well and I love using it. I like getting samples like the cream and hair masque. These products are expensive and thanks to Ipsy I am able to try these products whereas otherwise, I wouldn’t be able to. 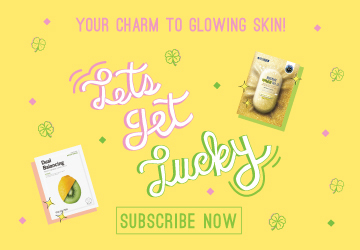 My hair and skin look and feel wonderful, thanks to Ipsy! If you are interested in that sort of meme, please leave a comment and let me know OR share your link to your Ipsy Bag or other makeup posts in the Mr. Linky Link Up. I’ll make sure to visit and comment whenever possible. 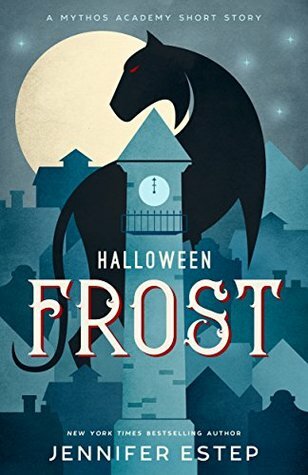 I didn’t know anything about the world of Mythos Academy because I have never read the first installment but it sounds like the protagonist Gwen Frost, is training to be a kickass warrior. I like it a lot. I picked it up because it is near Halloween. Gwen’s friend wants to dress up and go trick or treating but their fun was lost on a monster and that is just how it is at Mythos Academy. Fight and kill as many of those things as possible. However, the one she has a crush on saves her, yet again. O be still my heart. Her sword, Vic, can talk and has a mouth on him. It was a gift from some god. I need to work out the details guys so don’t @ me. It looks like their bags of treats was lost on someone playing a mean trick on them.